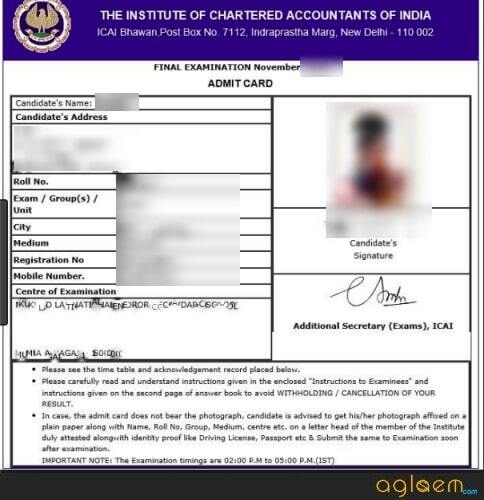 CA Final Admit Card 2018 / CA IPCC Admit Card 2018 – The Institute of Chartered Accountants of India (ICAI) has released the Intermediate and Final admit cards for the November 2018 exam. Candidates may note that the admit card has been made available in online mode only at icaiexam.icai.org. It will not be sent by post or any other means. Log in with login ID and password to download and print CA Admit Card. Only those candidates will be issued admit cards who had submitted the application form with fees on time. 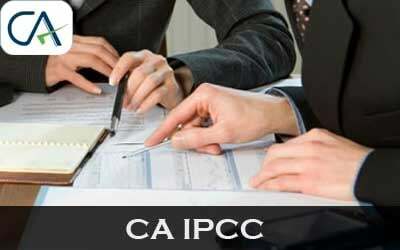 Keep roll number safely so as to be able to check CA IPCC result / CA Final result later. Get here complete details of CA Final Admit Card 2018 / CA IPCC Admit Card 2018 such as date, how to download, FAQs. CA Examination is scheduled in November 2018. The exam dates for Group I and Group II for IPCC and Final are as per the following schedule. Candidates can download the Admit card from official website. Click Here to download the CA Final/ CA IPCC Admit Card 2018. 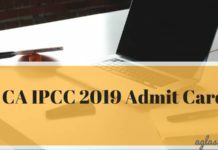 How to download CA FInal/ IPCC 2018 Admit Card if forgot the Password? To download the admit card, it is important that you should provide only correct login details. Without any one of the following details, you will not be able to download the admit card. However, if you do not remember the password, the candidates cab retrieve it by simply following the instructions as given below. You will be provided with three options to retrieve the Password – through Email, by answering the security question, and lastly by entering the Barcode, Pincode, etc. If you choose Option 1, you need to enter details such as Registration Number, Mobile Number or Email ID or security question. 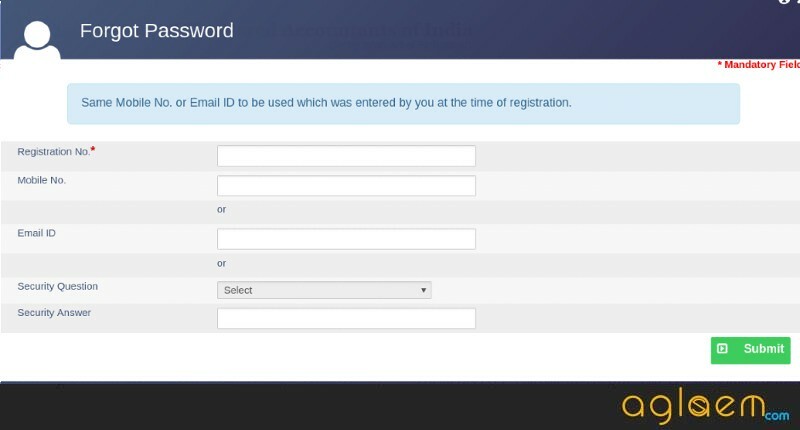 Then click on the “Submit” button and your Password will be sent to the registered email id. Submit the login details and your password will be available on the screen. If you choose Option 3, then you need to enter details like Registration Number, Exam Application Barcode Number, Personal Identification No. (PIN). Click on the “Submit” button and you will get your Password. 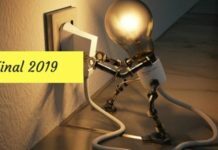 How to download CA Final Admit Card 2018 / CA IPCC Admit Card 2018? Click on the direct link which has been provided on this page. You will be redirected to the official website of ICAI, then you have to click on the Login/ Register tab. Next, enter details such as Login ID and Password. Click on the “Login” button to submit the login credentials. On submission of the login details, your profile will open. Click on the View button in front of the Admit card. What to do if there is no Photograph of the Candidate on CA Final/ IPC 2018 Admit Card? If the CA Final / CA IPCC 2018 Admit Card does not have the candidate’s Photograph and Signature, it is advised that you should paste the photograph and affix signatures in the area marked on the printout of the admit card. Also, you should get this page attested by a member of the Institute (member may indicate his/her Name, membership number, and office stamp while signing/attesting at the bottom of that page) and carry the same to the examination centre, in duplicate, as proof of his/her identity. To the exam center, you will have to hand over the original attested admit card while retain one copy of the same. It is also advised to such candidates to carry one passport size photograph (matching with the photograph affixed on the attested letter as mentioned here) to the exam center for affixing the same at the appropriate place in the attendance register. 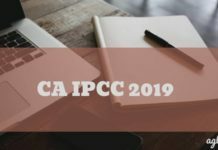 What to do if there is an error in the details printed on CA Final/ CA IPCC 2018 Admit Card? After downloading the admit card, the candidates should check that the details printed on the admit card are same as the details filled in the exam application form. If there is any error/ discrepancy in the details printed on it, then you must contact the concerned authorities regarding this. Qs. Will the admit cards contain my photograph and signature? Ans. Yes, if the application you have submitted contains them. Qs. I had not affixed my photograph in the exam form. Can I send them now? Ans. Yes. However, once the admit cards are hosted, no changes will be made thereon. The photographs will be used at the time of preparation of pass certificates. We advise you to carry with you a photo identity card issued by the Govt. 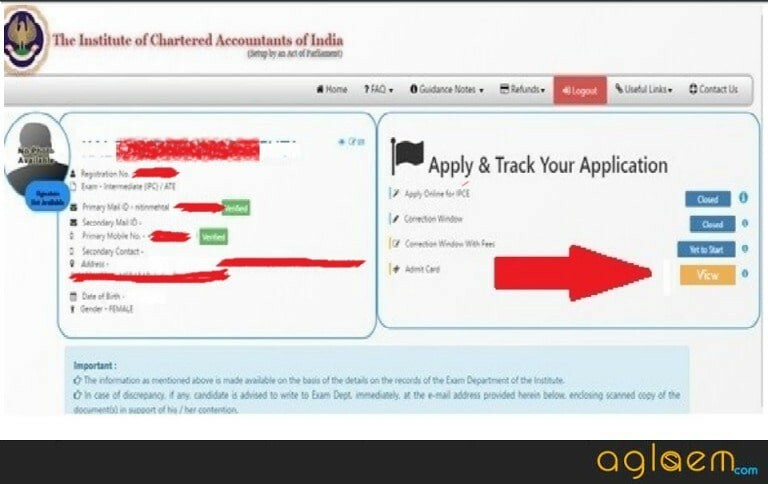 agencies or by ICAI at the time of registration as articled assistants, to the examination hall, along with the admit card downloaded/printed from the website. Qs. I have a valid exemption in a paper. However, the admit card does not show that exemption. Will I get the exemption? Ans. Exemptions granted to you are not shown on the admit card. Please go through the relevant statement of marks of the exam, where in your opinion, you were granted an exemption in a paper(s). You can log in with your single sing on credentials at http://icaiexam.icai.org to check your exemptions. If you have any questions related to the CA Final 2018 Admit Card/ CA IPCC 2018 Admit Card, then let us know in the comment section below. I checked my admit card 3 times and forgot to download it.now i m nt able to download this because i didn’t know abt downloading criteria of admit card that time..plz tell me what should i do?